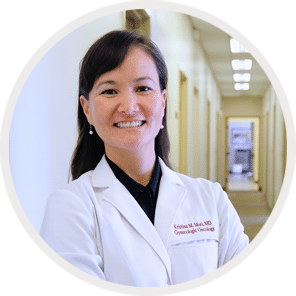 For more than 25 years, Gynecologic Oncology Associates (GOA) has cared for more women with female cancers on a yearly basis than any other practice in Orange County. 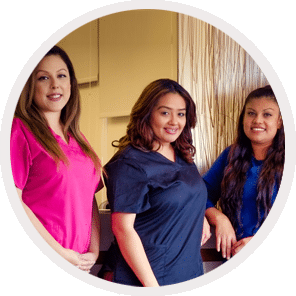 We are the leaders in Southern California for treating all gynecologic cancers, in one intimate and inclusive setting. No other group provides comprehensive diagnosis and treatment for gynecologic cancer —and access to clinical trials— all within the same practice. That means better continuity of care, state-of the art treatment including the latest robotic and advanced endoscopic surgical techniques, and more convenience for patients at a vulnerable time in their lives. We even usher you toward a better quality of life for follow-up and rehabilitative care after treatment is finished. 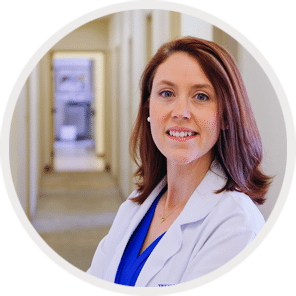 Lisa N. Abaid, MD, MPH, FACOG, FACS, completed her undergraduate study at Auburn University. She attended Medical School at the University of Miami. 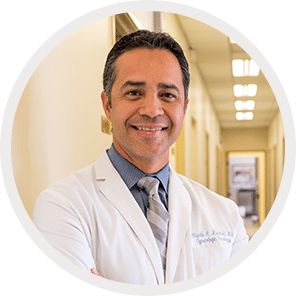 Alberto A. Mendivil, MD FACOG, FACS completed his undergraduate study in Animal Physiology and Neurosciences at the University of California, San Diego before..
Kristina Mori, MD, FACOG completed her undergraduate study at the University of California at Riverside. She attended Medical School at Tufts University School..
Access to clinical trials. 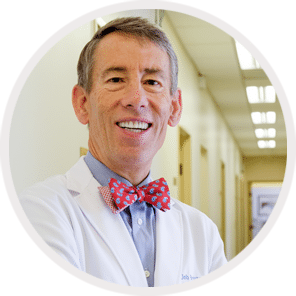 A prestigious designation in minimally invasive surgery. A dedicated gynecologic tumor board. A revamped system that is changing the way patients recover from surgery. The Foundation for Women's Cancer (FWC) hosted a webinar on Oct. 24 titled, You Got This: Getting Prepared for Paclitaxel/Carboplatin Chemotherapy. This patient-focused webinar covered how these chemotherapy drugs work; what to expect on the first day of treatment and their progress; tips and strategies to help prepare for chemotherapy treatment; and the onset and duration of side effects, and when to call their doctor. Speakers included Judith A. Smith, PharmD, BCOP, CPHQ, FCCP, FISOPP; Rebecca A. Brooks, MD and Kim Hurley—an ovarian cancer survivor whose paclitaxel/carboplatin chemotherapy treatment lasted for seven months. 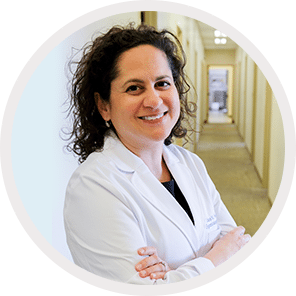 Congrats Dr. Lisa Abaid – 10,000 Surgeries! Congratulations to Dr. Lisa Abaid for performing the 10,000 robotic surgery at Hoag Hospital Newport Beach! The GOA team strives to bring minimally invasive cancer surgery options to our patients whenever possible. Healio The FDA granted priority review to a supplemental new drug application that seeks approval of olaparib tablets for maintenance therapy of women with newly diagnosed BRCA-mutated advanced ovarian cancer. The designation applies to use of the agent for women who are in complete or partial response after first-line standard platinum-based chemotherapy. The FDA is expected to make a decision on the application in the first quarter of 2019. The premier medical specialty society for health care professionals trained in the comprehensive management of gynecologic cancers. Have an experience? Share your story!